RULH Local School District has been awarded a National School Lunch Program (NSLP) Equipment Assistance Grant for $22,305.00. RULH will utilize these funds to purchase a new oven for the high school kitchen. 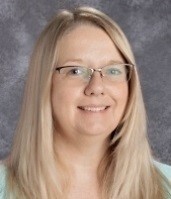 Congratulations to Mrs. Michele Rau, RULH Food Service Director (pictured below), who completed the grant application!